Gangs ruled Cantilucca. Guns were the only law, and there was no lack of guns. It was hard to imagine matters getting worse. Until the survey team arrived.... Major Matthew Coke was not a squeamish man, but the state of affairs on Cantilucca turned his stomach. He was only human after all. Where some of the rest of his team were concerned, it was difficult to be sure: five professional mercenaries who'd learned the hard way that in the end they could defeat anything - except their own consciences. 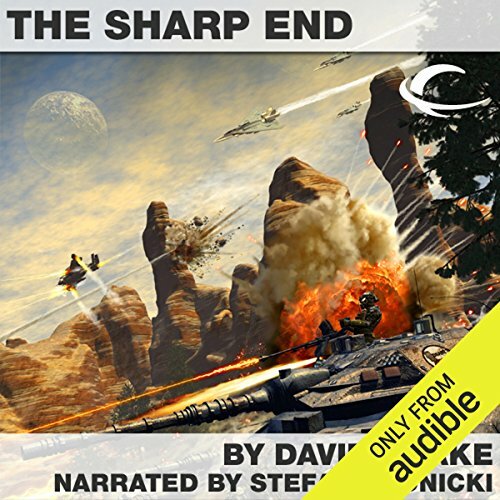 ©1993 David Drake (P)2011 Audible, Inc.